And just like that, it’s Fall. 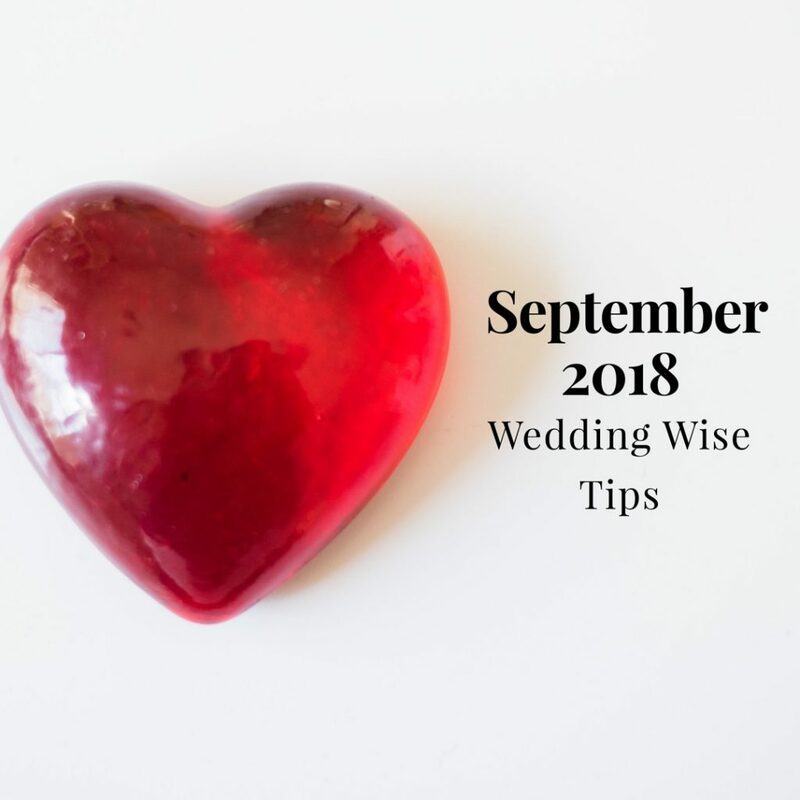 September’s wedding tips included emergency kit rules, venue safety tips, things that are sadly forgotten on your wedding day, deliver vs. pickup, the definition of “fun” and more. 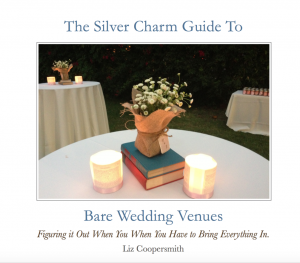 Follow me at @SilverCharmLiz or on the Silver Charm Events Facebook page for daily wedding tips. 9/1 – Wedding Wise Tip #244 – Backyard wedding lighting. Not just for the reception area, but for any route guests will be taking. Restrooms? Shuttle drop off or parking? 9/2 – Wedding Wise Tip #245 – Cheaper than you’d think? Hundreds of pounds of ice. 9/3 – Wedding Wise Tip #246 – Check the handicapped entrances and ramps at your venue. Or rather check FOR them. 9/5 – Wedding Wise Tip #248- 2. #forgotten …signing the marriage license. 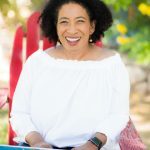 9/6 – the Wedding Wise Tip #249 – My personal preference is to put TWO stamps on the marriage license envelope when I mail it out as an officiant. None of come back because of it, yet. 9/7 – Wedding Wise Tip #250- Vendors are going to ask, so check where the loading ramps are in your venue. How is the big stuff getting in there? 9/9 – Wedding Wise Tip #252 – Decide now if you want to keep any programs, table numbers, menus, etc.. I suggest at least two of each, and designate (ask nicely) someone to grab them for you. Once they’re gone, they’re gone. 9/10 – Wedding Wise Tip #253 Is there a recycling bin at your venue? Make sure your discarded table numbers, programs, menus, etc. go in there. 9/12 – Wedding Wise Tip #255 – Since you can’t check into your hotel until 3pm, check out is usually by 12pm, if your wedding party is getting ready in your room, consider checking in the night before your wedding, and checking out the day after. Two nights. 9/13 – Wedding Wise Tip #256 – Cutthroat guest list cut? Co-workers. If none of them are coming, no one can complain. Make sure your better half sticks to that, too. 9/14 – Wedding Wise Tip #257 – #unpopularopinion – Guest book and guest book like things aren’t necessary. 9/15 – Wedding Wise Tip #258 – Try and do a mock up of your guest table, so you get a good idea of what the combo is going to look like. Same shape table, centerpiece, cutlery. 9/16 – Wedding Wise Tip #259 – Seriously, you guys, who has the rings? 9/17 – Wedding Wise Tip #260 – Is your baker stacking the tiers of your cake, or just delivering it? ASK. 9/18 – Wedding Wise Tip #261 – First question to ask your Hairstylist – how do stylees need to show up? Dirty hair? Clean hair? Dry hair? 9/20 – Wedding Wise Tip #263 – Third question to ask your hair stylist, do they need/want pictures of the stylees? 9/21 – Wedding Wise Tip #264 – If you’re having a photobooth, free standing or a box, make sure you check the size of the space it’s supposed to be in. 9/22 – Wedding Wise Tip #265 – Wedding emergency kit staples? Needle and thread. Clear packing tape. Duct tape. Trust me. 9/23 – Wedding Wise Tip #266 – More Wedding emergency kit staples? Shout wipes. Scissors. Stick lighters. Trust me. 9/24 – Wedding Wise Tip #267 – Even more Wedding Emergency kit staples? Clear polish. Super glue. Black pens. Trust me. 9/25 – Wedding Wise Tip #268 – The Wedding Emergency kit staples you were thinking about? Tampons. Pads. Bandaids. Bottle opener. You can always trust me. 9/26 – Wedding Wise Tip #269 – stolen from Martha Stewart but DUH: If you’re not inviting them to the wedding, don’t invite them to the shower/bachelorette party/rehearsal dinner. Don’t do it, the tackiness will stick to you. 9/27 – Wedding Wise Tip #269 – 50% of your budget is going to venue rental and catering. Try to make that a 10-40 split. 20-30 at the most. 9/28 – Wedding Wise Tip #270 – Parents insisting on adding guests? 1. Remind them how much meals cost per person+tax. 2. Tell them the EXACT total amount you’re already paying for catering. 3. Wait. 9/29 – Wedding Wise Tip #271 – If you’re using plastic utensils for cake/dessert, what are you putting them in/on? 9/30 – Wedding Wise Tip #272 – If you’re providing the alcohol and drinks, it’s more efficient and economical to come up with a specific bar menu. It can still be long, but specific works best. What else do you need to know about your wedding right now? 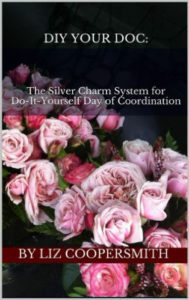 Complete the form below to schedule a consultation, or contact me directly at liz@silvercharmevents.com.